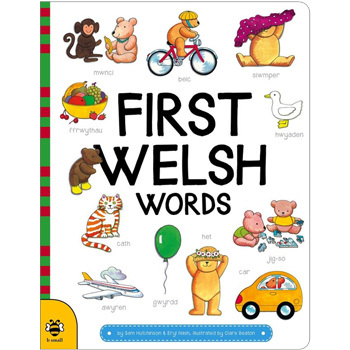 First Welsh Words is a large-format board-book that is sure to be loved by toddlers and young children learning their first words in Welsh. First Welsh Words is aimed at young English-speakers learning their first words in Welsh. The colourful illustrations are labelled in both Welsh and English and the easy-to-follow pronunciation guide will help parents with no previous knowledge of Welsh to share this with their child.